Hi! 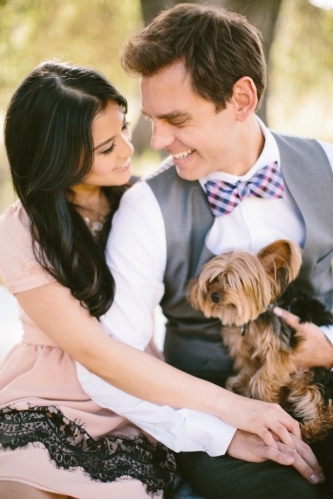 I’m Aileen and the handsome men next to me is my hubby, Doug, and our fur baby, Lucky. Together, we’re one happy family who loves to love, laugh, and live… And a part of living is finding all kinds of beauty through the viewfinder. Ansel Adams once said that a photograph is usually looked at – seldom looked into. I love documenting the natural beauty and happiness of my couples while bringing out the uniqueness of people in love. Images should be a reflection of who you are, individually and as a couple, and so I want my images to be unique to you. I capture meaningful MOMENTS because this is how you’ll remember yourselves on your wedding day, and it is my job to document your story. I feel blessed to be part of my clients’ lives and to be witness to the joyous moments life has to offer. I hope you’ll invite me to be a part of your story, too. I live in Los Angeles with Doug and Lucky. And from time to time, Doug and I enjoy training for half marathons and triathlons.